Daniel Ellsberg sits at a piano, sounding pretty good, distractedly answering questions. It looks like the documentary crew is setting up or screen-testing the location. “Did your sister play?” An innocent question from someone off-camera. Ellsberg’s answer gives the key to his life. 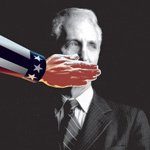 Ellsberg is most famous for leaking the Pentagon Papers to the New York Times in the early 1970s. For those who are too young to remember, the Pentagon Papers were documents that showed high-level government officials, including several presidents’ inner circles, knew that the Vietnam War was going badly and was not winnable. In themselves the papers are not so damning. But for decades the official government line was that we were winning. The papers showed that for years, politicians had been lying to the public about the war in Vietnam. A president who sends a soldier to win a war is doing his job. But when that same president knows the war is unwinnable and he sends troops to die to save political face, then that is a moral crime. That’s why the Pentagon Papers were such explosive news. There are many angles and aspects to The Most Dangerous Man in America, but it doesn’t feel random or scattered. The story runs from the early 1960s to the mid 1970s, and in that time, the story takes different shapes. First it’s about new military thinking, including the birth of the RAND corporation far from Washington, D.C. Then it’s about ambition and personal ethics as Ellsberg recalls cherry-picking anecdotes for a report that encouraged a bombing campaign that he himself did not think would be effective or justified. The documentary turns to political activism as Ellsberg joins anti-Vietnam groups, even as he continues working at the Pentagon. It turns into a story about the Nixon presidency, whose campaign implied it would end the Vietnam war yet whose policies were as hawkish as the previous 3 presidencies. It becomes a story of political heroism as Ellsberg decides to go public with evidence of government lies that hid the unnecessary deaths of thousands of American soldiers. At the climax, the movie is a story about the meaning of “freedom of the press” as the New York Times fights for its right to publish the Pentagon Papers. A coda tells us how the Pentagon Papers led to the resignation of Richard Nixon. The Most Dangerous Man in America covers a lot of ground. It must have been one hell of a fifteen years. And filmmakers Judith Ehrlich and Rick Goldsmith make the case that it all goes back to Ellsberg’s sister who played piano. She was killed in a car accident. Ellsberg was in the car with his sister and his parents. His father was driving when he fell asleep at the wheel. The right side of the car hit something and Ellsberg’s mother and sister were killed. Before then, Ellsberg recalls, he didn’t know it was possible for fathers to make mistakes. After that, he was not afraid to question authority, not because they were evil, but because they were capable of making mistakes that might cost lives.